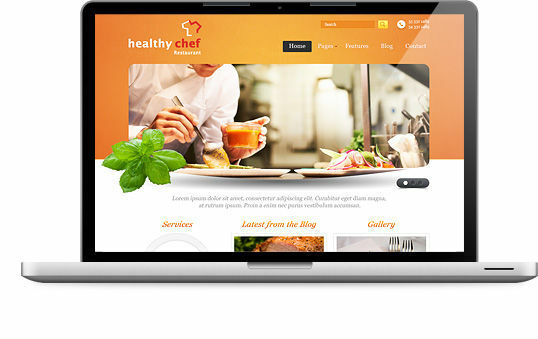 Healthy Chef is ideal for a website dedicated to the restaurant. 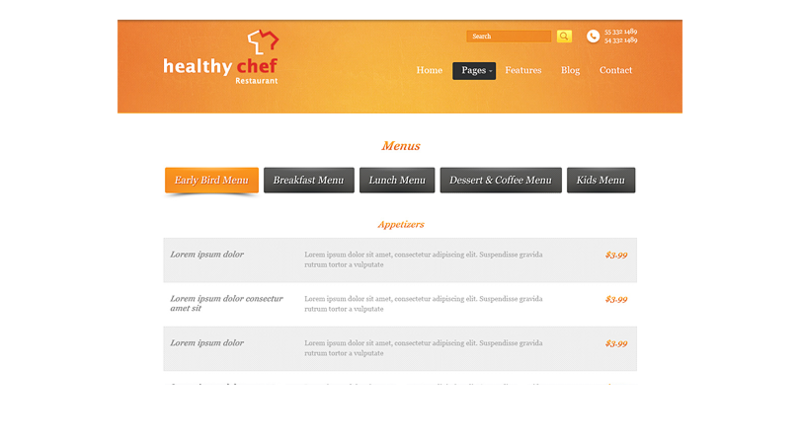 This theme allows to easily create a perspicuous menu and to present chef proposals. A phone number is located on the homepage. On the contact form, there is a place for the necessary data and a contact form. Integration with Google Maps is also included as a nice way to present location of the restaurant. Of course, this is only a suggestion because there is a lot of configuration options. 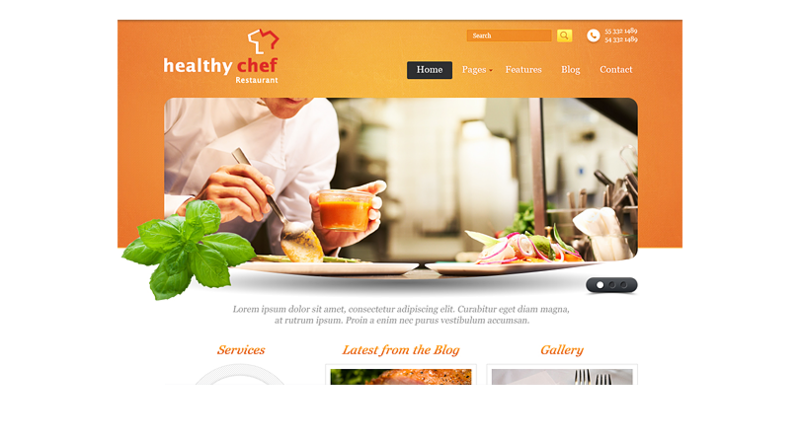 The theme can be used also to different trades, not just gastronomic. 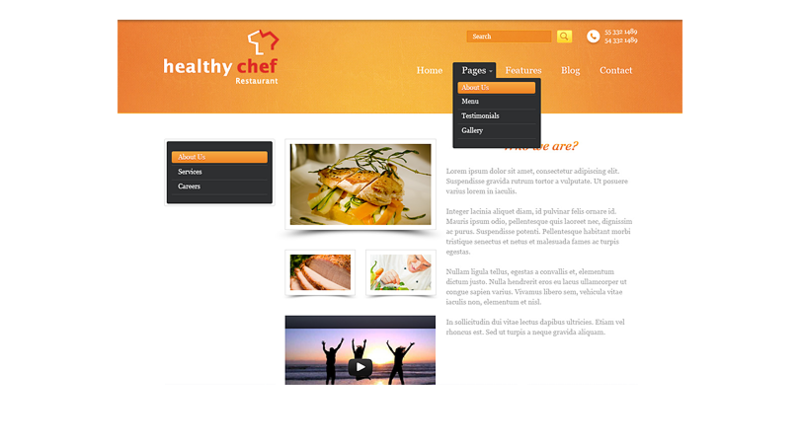 In the settings you can set the number of options, such as distribution of the pages or the posts on the homepage and on the slider. 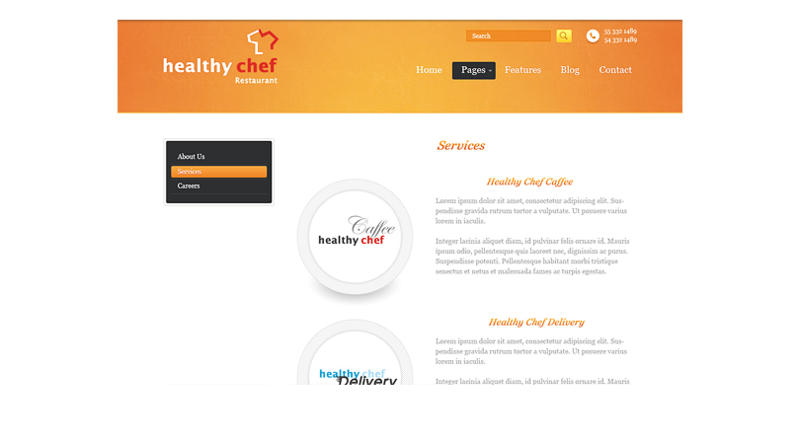 There is also the ability to easily put your logo and your password, menu, etc.